Valet parking should elevate your restaurant in almost every way. Once inside and seated, your customers obviously will see food and service as important factors. But when they arrive and depart, the service they receive in the lot can foreshadow what’s going inside. This service sets your establishment far above and beyond regular-priced restaurants, and it offers a number of other tangible benefits. Read on to learn why restaurants choose this service and how valet parking for restaurants has benefited some of Atlanta’s most prominent dining establishments. Simply put, high-end dining guests appreciate valet parking. It saves them from having to look for a parking place and prevents a longer-than-necessary walk. It also allows them to get inside more quickly and avoid inclement weather. Mostly, though, it makes your guests feel important, which is something we all enjoy. Prestige and reputation are vital in the restaurant business. Word-of-mouth is among the biggest factors in filling reservations. And at the end of the day, having a reservation book that’s stacked for the next six months is what you’re striving for. If your restaurant has experienced this, it’s because of your brand’s reputation. This not only includes the prestige of your chef and the expertise of your sommelier, but it also encompasses your restaurant’s ambiance and level of service. Trendy spots don’t become red hot without some due diligence on the part of the restaurateur. 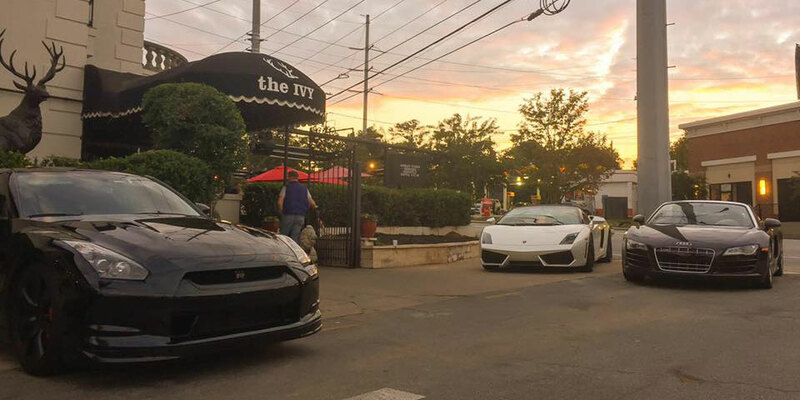 Subsequently, restaurant valet parking is a must if you’re going to build up your reputation and be considered among the best. When excellent customer service takes place before the customer ever walks through the door, the entire dining experience becomes something more. The valet will be the first person who guests see (as well as the last), so the valet needs be a face your guests will remember in a positive manner. When done by well-trained professionals, the experience will leave those guests feeling important and worthwhile. Your valet team also can be trained to become an extension of your front-of-house operations. When guests arrive, the valet might suggest something from the menu or advise on wait time, making the visit seem personalized before diners ever step inside. In fact, the benefits continue once dinner is over and the bill is paid. Your busy wait staff and hostesses may have delivered spectacular customer service, but it’s the valet who bookends the experience. They add that definitive final touch of customer service, asking the guests how their evening went and ensuring they receive a proper send off. There’s a simple reason valet parking for restaurants is a staple for elite Atlanta dining establishments like Bones. It makes a lasting impression. Located in Buckhead, Bones is one of the best restaurants in the city and thought by many as one of the best in the country. Recently, Zagat recognized Bones as having the highest rating for food and service of any steakhouse in America. Bones enjoys this continued success because the management understands the importance of even the smallest details, including their valet parking service. National Parking has provided unparalleled valet parking service for the Bones elite for more than 30 years. Bones’ customers expect to see the familiar face of the valet staff when they arrive, and they appreciate the consistency they have received from their favorite restaurant valet service over the years. Diners know what to expect when they arrive, and Bones and National Parking deliver. Many other Atlanta restaurants have recognized the importance of hiring the leading valet parking company in the city, Ruth’s Chris, New York Prime, and Blue Ridge Grill to name a few. All of these National Parking accounts boast a clientele satisfied with the exceptional restaurant valet parking service to which they’ve become accustomed. If you run an Atlanta restaurant and it doesn’t currently offer valet parking services or your current valet team is in need of a makeover, your business is missing out (and so are your guests). At best, you aren’t taking advantage of all available opportunities to truly serve your customers. And at worst, your restaurant is failing to distinguish itself from lower-level competition and keep pace with its real competitors. National Parking offers service-first valet parking for restaurants, events, hotels, and everything in between. Service from National will make a noticeable difference to the first and last impression your guests receive and ultimately your bottom line. The results are quick and demonstrable. The difference between a successful and subpar restaurant really can be found in the details. If you’re interested in discussing a custom valet parking solution for your restaurant, call us today at 678-356-4030 or submit a request for proposal online.